The plum site located at Central Boulevard, Marina Bay has been launched for sale yesterday – on 30 August 2016, by URA (Urban Redevelopment Authority). 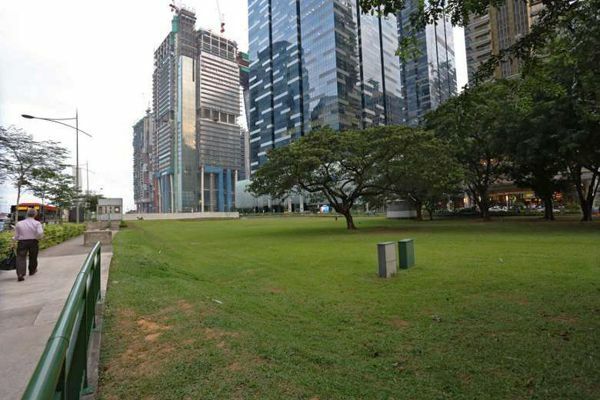 Originally being placed on the reserve list under the 2H2015 Government Land Sales (GLS) Programme, the 110,000 square metre (sqm) land parcel was triggered for sale earlier in August when the reserve price of S$1.536 billion was committed by a developer. It was reported that the triggering bid may have been submitted by Nanshan Group from China – who are also property developers of Thomson Impressions at Upper Thomson) in Singapore. This white site will mainly be a commercial development with offices. It was noted that the last office sites sold in the Marina Bay precinct was Asia Square for almost 10 years ago – back in 2007. According to market watchers, there’s a possibility of the site drawing more than 10 bids from property developers of various profiles – from mid-sized to mega developers – and also the likelihood of forming a consortium with foreign property developers. It won’t be a surprise if new “players” are participating in this tender at Central Boulevard (which will close on 08 Nov 2016), especially those from Middle East or China as they look for investment alternatives in the Asia Pacific region after Britain’s exit from the European Union. On top of that, this site could also spur interest from various sovereign funds that are looking for opportunities to acquire premium sites like this one at Central Boulevard. Based on the current ownership trend, the Grade A offices in the CBD (Central Business District) are usually possessed by real estate developers or even investment trusts. Thus, only approximately 7% of the stock for Grade A offices in the precinct are transacting actively over the last decade. With the recent stability shown in the office market, property developers are starting to find confidence in this segment, given the high pre-commitment rate (from major MNC tenants) at some of the office buildings which are due to complete this year. Despite the current subdued demand for office spaces, potential bidders for the tender will be focusing on the potential upturn of the property market, when the new project is completed 4-5 years later.